On top of catering for residential properties and small businesses, we also provide great surfaces for childcare centres and schools. Our synthetic grass for childcare centres has been made to the strictest standards of quality and safety. 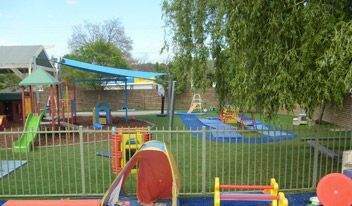 We can even provide various colours for an attractive, vibrant play area during recess and lunch times. Have a look at some of the childcare centres and kindergartens that we have helped right across Melbourne, and contact us today for fantastic artificial turf. 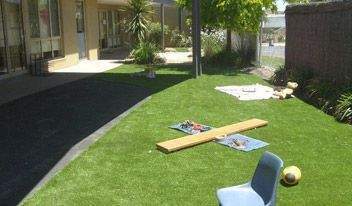 We provide safe and durable fake grass installation for child care centre’s in and around Melbourne. 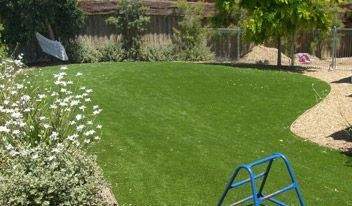 Our synthetic turf is made to meet strict Australian standards for both quality and safety. They are free from lead and other harsh chemicals that can arise from regular grass fertilisers. We have a variety of attractive turf options to turn your children’s play area into a vibrant and enjoyable space that they can enjoy at all times of the year. 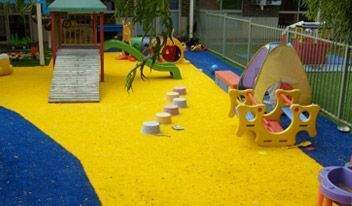 When you have your turf installation for your child care centers or schools done by us, you will be spoilt for choice. You can decide to have your surfaces installed in popular colours including green, yellow, red and navy blue. Use these vibrant colours to encourage effective outdoor learning for your students by improving their creativity, and enjoyment of play time. We have many options for you to choose from such as economical, sports-grade as well as landscape grass that looks just like the real thing! Our turf installation procedure includes the insertion of softfall pads, a rubber underlay, under the surface to absorb impact and reduce the chance of child injuries from falls. This feature is ideal for child care centers and schools. Our turf will look luscious and green throughout the year without watering and mowing. They are made to last for years and require minimal maintenance and cleaning. These surfaces are an excellent solution to avoid messy playgrounds during droughts and mud baths due to heavy rains. To clean your new turf, you’ll just need a quick spray with water to eliminate dust, pollen, and other small debris. Should your turf become damaged, maintenance and repairs can be done easily. Our team of professionals can assess the condition, and advise you on the most cost-effective solutions. For the best results, get our experts to do the job for you! Our quick and professional services will get the playgrounds at your child care centers and schools fixed in no time. Get a Free Quote and Measure! If you are looking to create a comfortable and safe turf for your child care centers or schools in Melbourne, get in touch with our friendly team at Xtreme Turf. 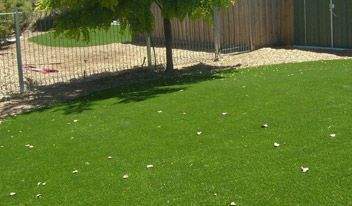 Request a free quote for your child care center turf installation by completing the contact form or giving us a call at 0406 686 911.